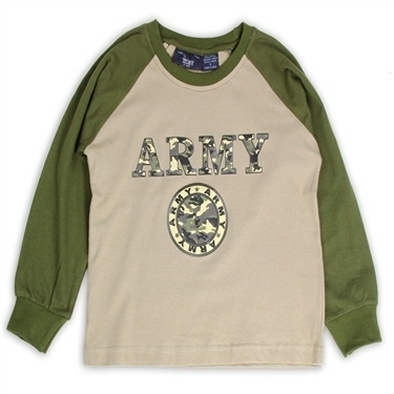 Popular military camouflage long sleeve jersey tee with an Army screen print. Very nice quality khaki and olive jersey long sleeve tee from Toby USA. 100% cotton. Import. Machine wash.